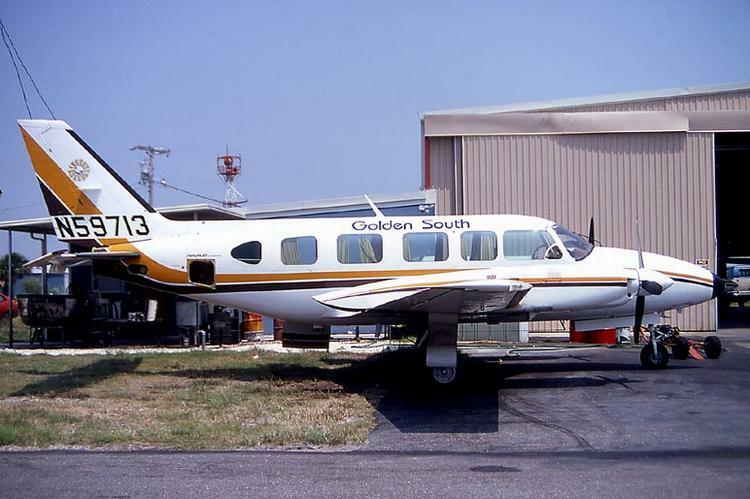 Ft. Pierce, FL based Golden South Airlines operated a trio of Piper Navajos to points in eastern central Florida during the first half of 1979. Cities served: Ft. Pierce, Orlando, West Palm Beach, Melbourne and Stuart, FL. Golden South Airlines Piper Navajo N59713. Undated Golden South timetable from early 1979. Service to Melbourne was later discontinued while flights to Stuart, FL were added. The airline lasted only a few months and ceased operations in mid 1979. Golden South Airlines route map based on the above timetable. Created with Great Circle Mapper.